There are lots of built-in features offered by Windows 10 to make your workflow faster. Quick Access is one of those features. You can find this feature on File Explorer. Just like the name suggests, this feature allows you to quickly access the frequently-used files or folders. All recently-used files will be added to Quick Access. Quick Access itself is basically not a new feature. This feature has been around before Windows Explorer was renamed to File Explorer. Previously, Quick Access was known as Favorites. The purpose of Quick Access itself is nothing but to help you improve productivity. Instead of performing tens of clicks to find the files/folders buried deep somewhere, you can navigate to Quick Access to find the files/folders you need. 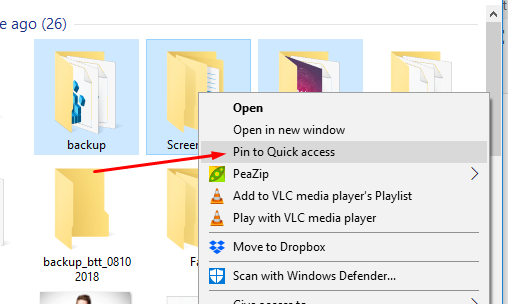 Although Quick Access can help you save time in finding necessary files/folder, you sometimes might want certain files to disappear from Quick Access for privacy reason. Here are how to remove items from Quick Access or to add new items to it. 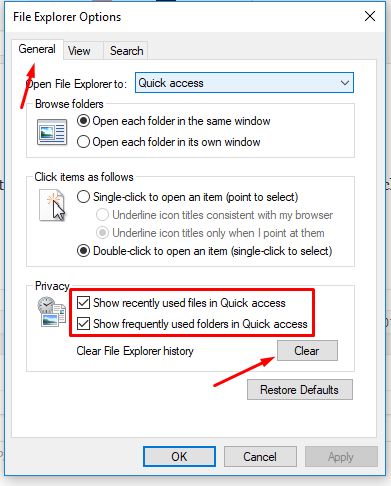 If you want to remove all items on the Quick Access, type “file explorer options” on the search box next to the start menu button to open the File Explorer Options window. Click the General tab on the File Explorer Options window. Look at the Privacy section and make sure both boxes are checked and click the Clear button. I am pretty sure that Quick Access is pretty helpful as it can save much times when working. But again, you might want to remove certain items for privacy reason. Instead of removing all items, you can remove only selected items that you don’t want them to appear on Quick Access. To do so, navigate to Quick Access and select the items you want to remove. Right-click and select Remove from Quick access. 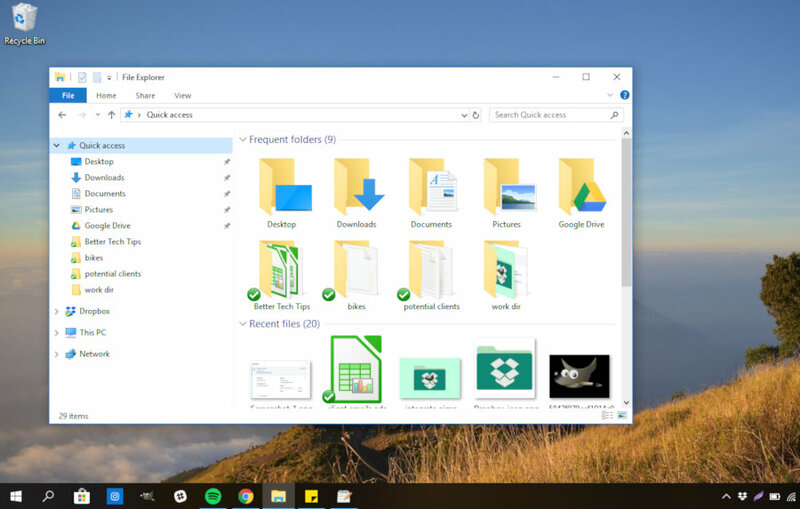 File Explorer will automatically pin the frequently-used folders to Quick Access. If you have certain folders that you want them to appear on Quick Access, you can also add them manually. To do so, navigate to the folders you want to add to Quick Access. Right-click and select Pin to Quick access. 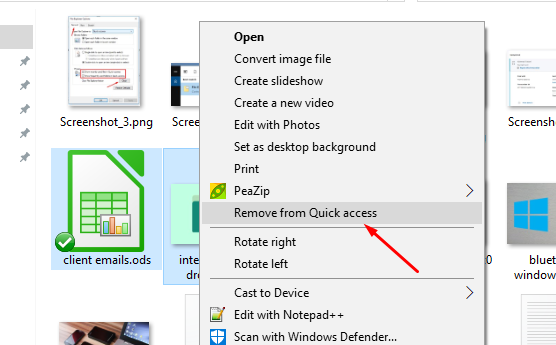 Quick Access is a pretty handy built-in feature offered by Windows 10. You can use it to fasten your workflow and improve productivity. In addition to Quick Access, you can also make use of keyboard shortcuts to minimize mouse click when working with File Explorer.